Amazon recently announced a new initiative called Amazon Delivery Service Partners, which aims to help entrepreneurs build small businesses while also expanding its own delivery network. Through the program, Amazon will provide entrepreneurs with access to its delivery technology, hands-on training, and discounts on assets and services, including vehicle leases and comprehensive insurance. Amazon believes that participating entrepreneurs can launch a business for as little as $10,000. On behalf of participating entrepreneurs, the company has negotiated exclusive discounts on required resources, such as Amazon-branded vehicles customized for delivery, uniforms, fuel and comprehensive insurance coverage. The offering is even sweeter for US military veterans: qualified veterans who launch their own Amazon delivery business can receive a $10,000 reimbursement, and the company is setting aside $1 million to help cover their startup costs. Amazon estimates that a successful delivery service owner with a fleet of 40 delivery vehicles can earn up to $300,000 in annual operating profit. Amazon sees this initiative as a continuation of its efforts to enable business owners around the world to participate in the wave of e-commerce, no matter the size of their business. Amazon’s Marketplace has already enabled more than 140,000 small and midsized businesses to each achieve more than $100,000 in annual sales on the site. The company claims that more than half of the products sold on Amazon.com are sold by third-party sellers. Moreover, Amazon provides technology tools such as Kindle Direct Publishing and Amazon Web Services that enable businesses of all sizes. Under the Delivery Service Partners program, Amazon aims to launch hundreds of small businesses that will hire tens of thousands of workers. Drivers wearing blue shirts with the Amazon logo and black hats will pick up parcels at the beginning of each day at one of 75 Amazon stations. An algorithm will determine which parcels drivers pick up and which are sent on to other delivery companies, such as FedEx and UPS, for last-mile fulfillment. Amazon has a strong incentive to build out its own fulfillment network. In 2017, the company spent $25.2 billion on fulfillment, up 43% from the prior year, with the increase outpacing the company’s 31% increase in reported revenue. This program enables Amazon to develop its delivery network while generating positive media buzz. The program represents yet another step in Amazon’s strategy to expand its delivery methods in order to provide better customer service and reduce fulfillment costs. The company already has 7,000 of its own trucks and 40 airplanes, according to CNBC. It also has a $1.5 billion cargo hub currently under construction in northern Kentucky. By building out its own delivery network, Amazon also reduces its reliance on FedEx, UPS and other delivery companies, giving it more control over its entire fulfillment system, from purchase to delivery. There is an existing model for this type of delivery network: Alibaba, China’s largest e-commerce company, manages a consortium of independent warehouses and delivery companies called Cainiao. The company was founded in 2013, and Alibaba owned a 47% stake in it as of the end of March 2017. Cainiao aims to a take collaborative approach to logistics. 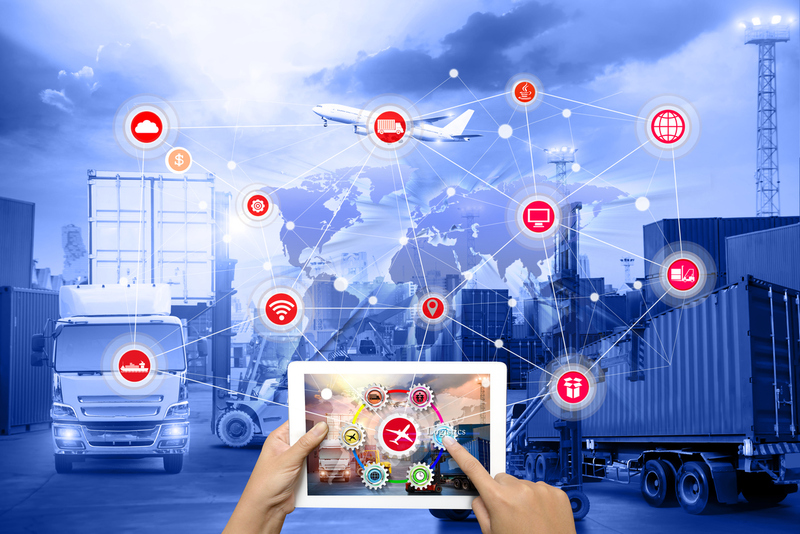 Its data platform drives efficiency by connecting e-commerce companies with players along the logistics chain to enable end-to-end solutions. Its scale is massive—Cainiao’s delivery network encompasses 90 partners in 224 global regions operating 200 warehouses in 250 cities. Those warehouses direct 230,000 vehicles that serve 180,000 delivery stations. Cainiao claims that its platform processes data for 70% of the packages delivered in China (estimated to hit 145 million in 2020) and sends 800 million status updates each day. Amazon’s new delivery program allows it to “do good while doing well” by helping veterans and budding entrepreneurs start businesses while increasing its control of its delivery network and reducing costs. Given that Amazon is already a highly data-driven company, it is likely that it will tightly integrate data from participating delivery companies into its platform in order to increase efficiency and improve delivery times and customer satisfaction.